About 7,000 light years away from Earth lies the aftermath of a massive star that went supernova. In its wake we see gorgeous wispy interstellar gases spreading out in a non-uniform manner. The way this happened is a massive star (at least 8 times larger than our Sun) went through stellar death process (where it exhausts all its hydrogen and works its way through heavier elements like helium>carbon>oxygen etc.) and eventually the star’s core collapsed when it lost stability. This resulted in one of the most spectacular explosions in the universe – a supernova. (Want more details on how supernovae happen? Read my article here). As the supernova remnant expands into its surroundings it shocks filaments of oxygen atoms (glowing green-blue). What’s even more fascinating is that the span of this supernova is 60 light years across (About 600 trillion km across!). If you were here on Earth 3,700 year ago you would see the light produced by this supernova in our night sky. Taking a look closer at the finer details in the image above, you may notice prominent colors like red or green-blue hues. These colors are signatures of what type of elements are present. For example the red gasses are actually hydrogen and nitrogen. Oxygen atoms glow in the green-blue hue. Looking at the outlying emissions you may notice something else... another supernova remnant! This one is actually an ancient supernova remnant called the Vela supernova remnant. 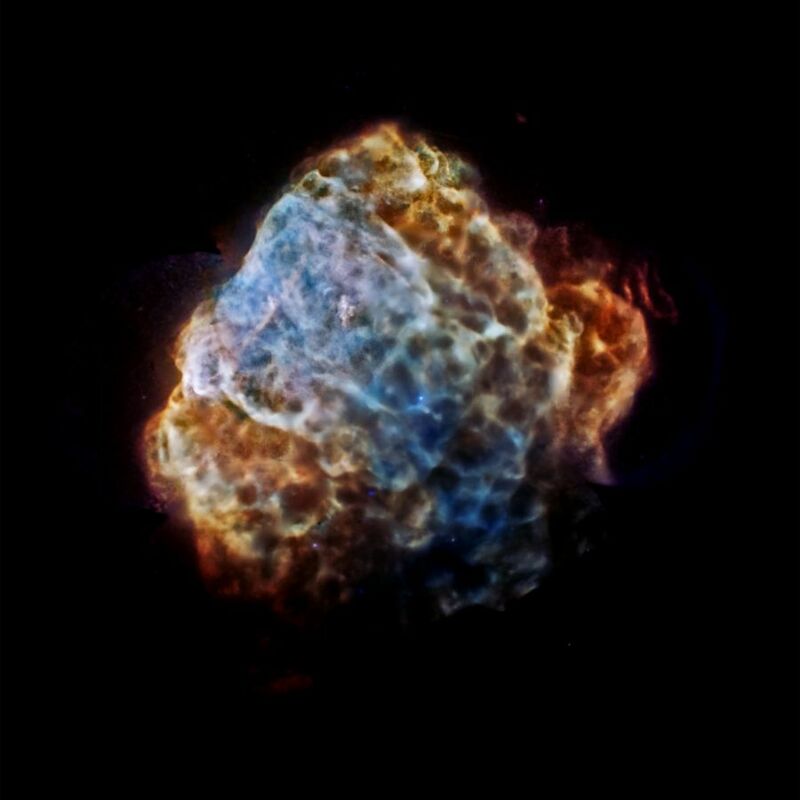 As the Puppis A supernova remnant glows bright in the electromagnetic spectrum – it remains as one of the brightest objects in the X-ray sky. This image provides the most complete and detailed X-ray view of Puppis A ever obtained, made by combining a mosaic of different Chandra and XMM-Newton observations. Finally, the image above shows us a more complete look at the supernova remnant. This view is about 160 light years across. Why do scientists or astronomers spend money and study these supernovae? Well studying supernova remnants help us understand our origin and how we came about. It’ll help us with our models of how planets and stars form in the universe. The interstellar gas we see here will interact with nearby stars and produce new stars and planets. Our solar system may have been born out of something so destructive as Puppis A supernova – yet it leaves such a stunning awe-dropping sight. For further reading and sources used: APOD, Hubblesite, and MIT. 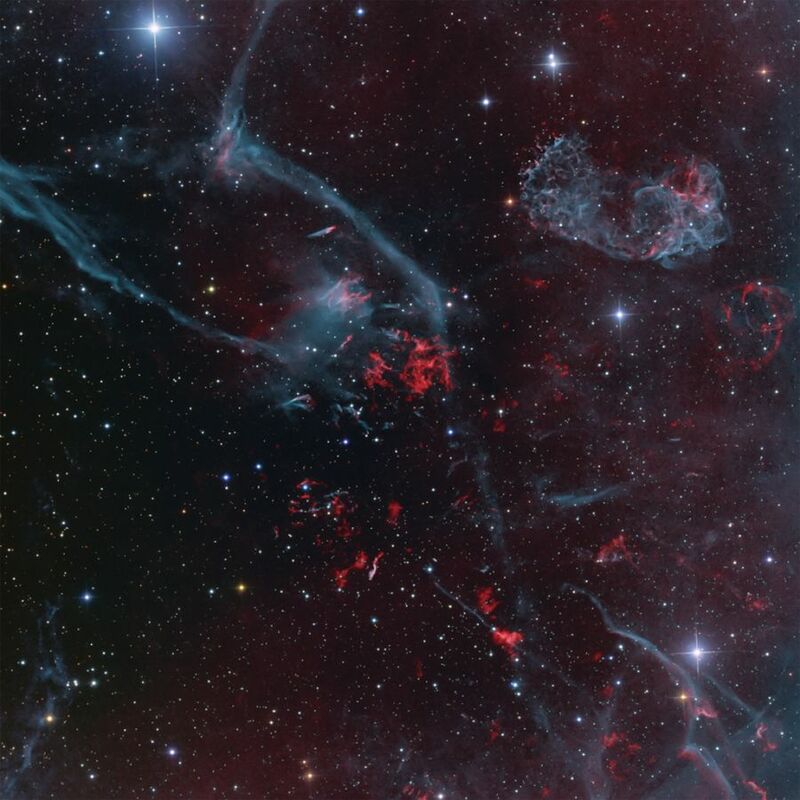 Gorgeous Puppis A supernova remnant shows us the aftermath of a massive star that went supernova. Let's take a look at why this is so beautiful.